As a creative person, with a scientific curiousity, I have always been very interested in the whys, whats, and hows behind cooking - although it has always been a creative endeavor for me. I am a Good Eats junkie and more recently started getting into the modernist way of cooking after learning a bit about Heston Blummenthal. If you are unfamiliar with him, he is a British celebrity chef of one of the best restaurants on the planet, Fat Duck ( he has a few others I believe, but this is the flagship). He is part chef and part mad scientist and the amazing thing is that he is self-taught. I wanted to learn more about him after reading how he used an atomizer to to deliver "the smell of the chippy" (really atomized pickled onion juice) over the fish and chips as a way to make the meal a multisensory experience. His approach is basically to carefully consider all of the senses and delight them in concert and do so expertly. I own two of his cookbook (Heston Blumenthal at Home and The Fat Duck Cookbook) and I have learned quite a bit from them. One of his cooking methods that really caught my attention was sous vide and at the time I had researched the equipment it was a bit too pricey, but thanks to newer products this method is now more easily accessible to the home cook. It is basically cooking food at lower temparatures in vacuumed sealed bags. The result for meats prepared this way is juicy, tender, and perfectly cooked, a feat not really possible to achieve with other cooking methods. I think when it comes to preparing meat this style of cooking is going to become the way, the truth...well you get what I'm saying. Many other types of food can be prepared using this method, but more details on this below. 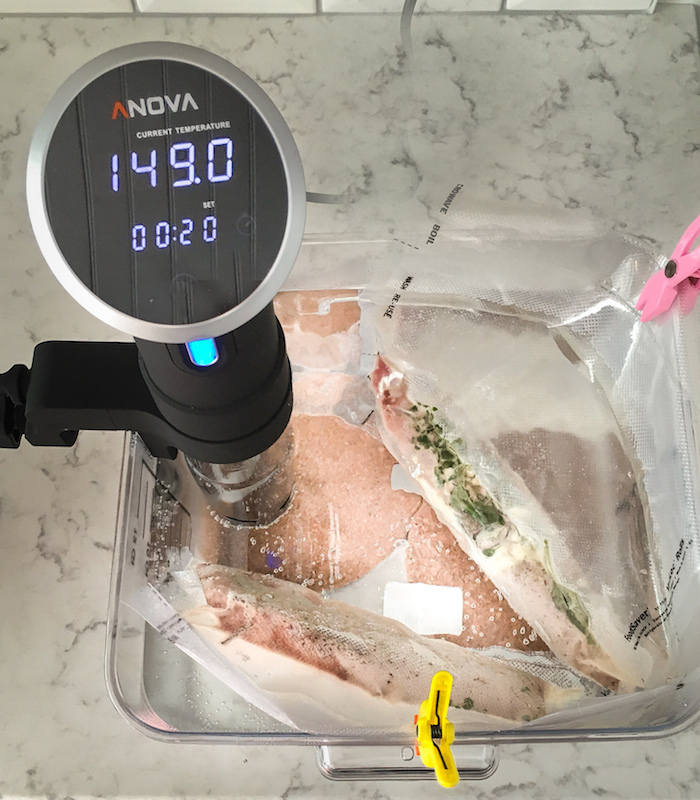 Sous vide has been around for a little while in the professional cooking sector, but it is just starting to gain traction with home cooks thanks to cheaper equipment. *Disclaimer - All products I use for sous vide, I purchased myself. However, if you end up buying any products from our Amazon shop, I get a small percentage commission. English literature degree + computer programmer + creative nerd = Mary's Making. Subscribe now to get the latest updates.